The development of pediatric cardiac surgical programs has had a profound effect on the s- cialty of pediatric critical care medicine, and as a result, the ? eld of pediatric cardiac intensive care is rapidly emerging as a separate subspecialty of pediatric critical care medicine. The ability to provide care for the critically ill child with congenital heart disease clearly separates pediatric intensivists from our adult colleagues. 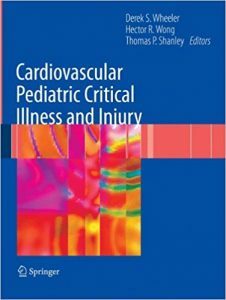 A thorough understanding and knowledge of the unique physiology of the child with congenital heart disease are therefore absolutely crucial for anyone working in the pediatric intensive care unit. 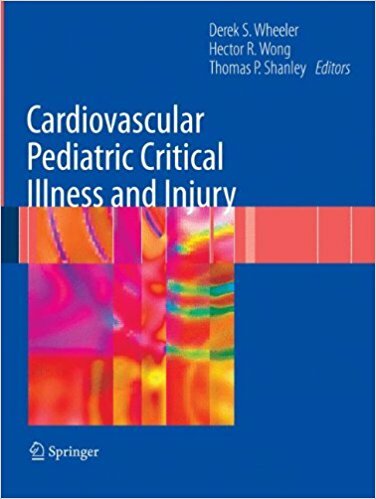 Once again, we would like to dedicate this textbook to our families and to the physicians and nurses who provide steadfast care every day in pe- atric intensive care units across the globe. Derek S. Wheeler Hector R. Wong Thomas P. Shanley v Preface to Pediatric Critical Care Medicine: Basic Science and Clinical Evidence The ? eld of critical care medicine is growing at a tremendous pace, and tremendous advances in the understanding of critical illness have been realized in the last decade. My family has directly bene? ted from some of the technological and scienti? c advances made in the care of critically ill children. My son Ryan was born during my third year of medical school. By some peculiar happenstance, I was nearing completion of a 4-week rotation in the newborn intensive care unit (NICU).